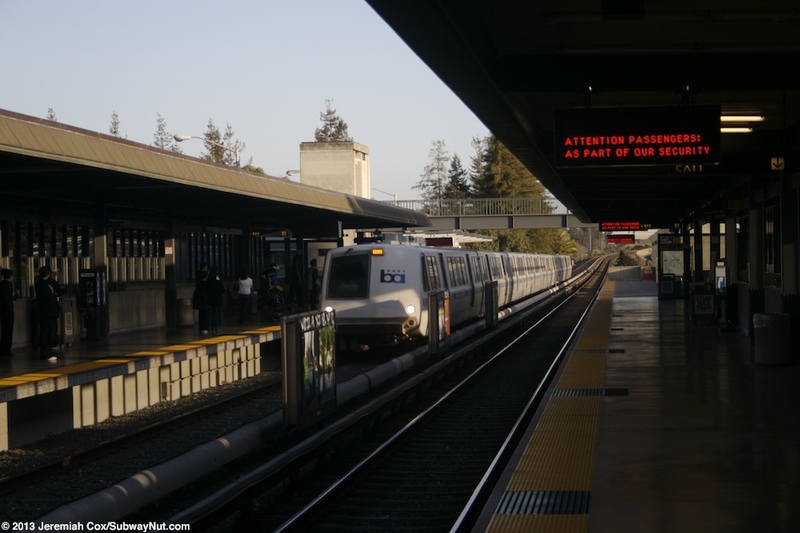 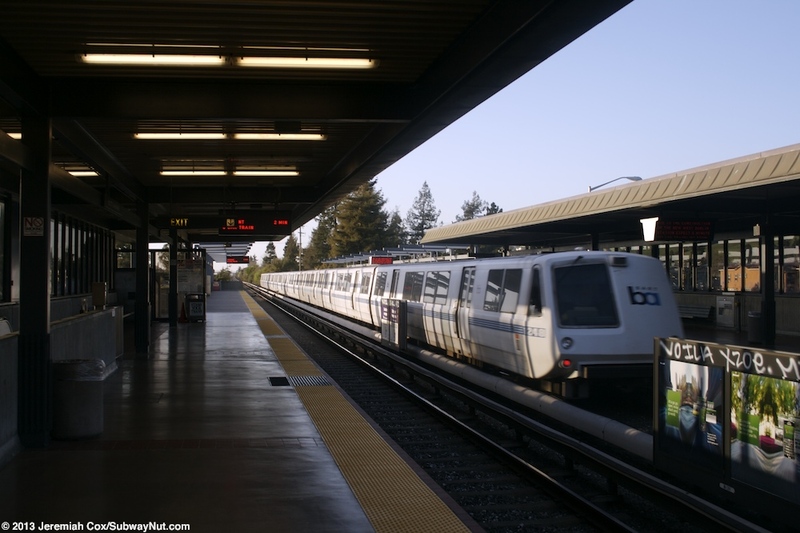 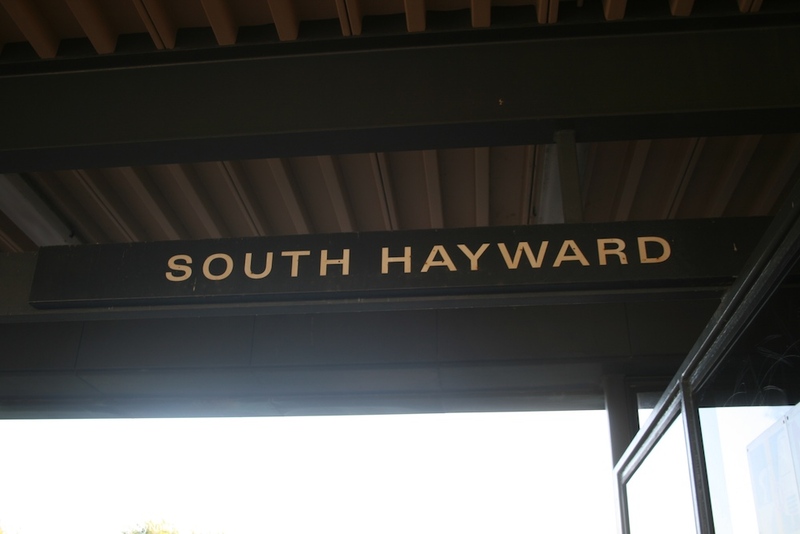 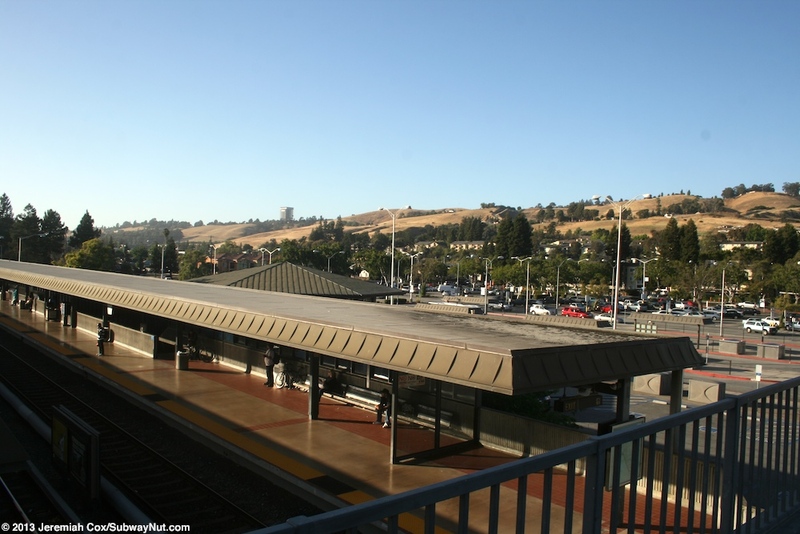 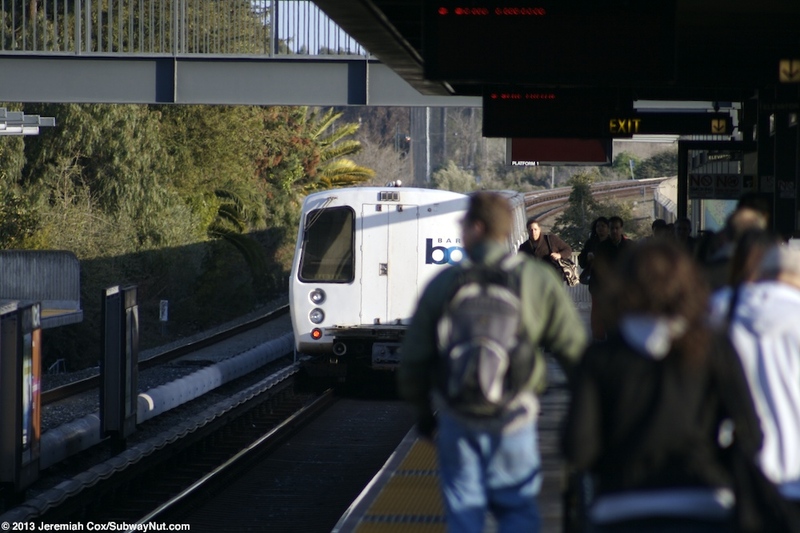 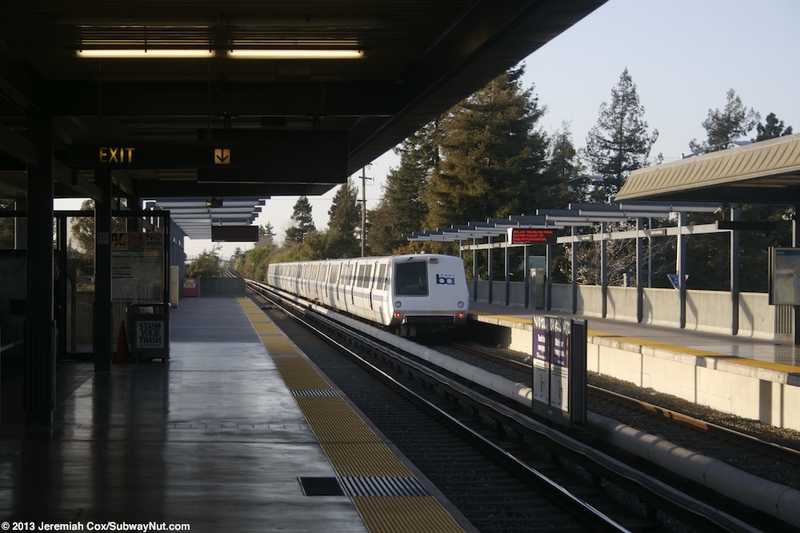 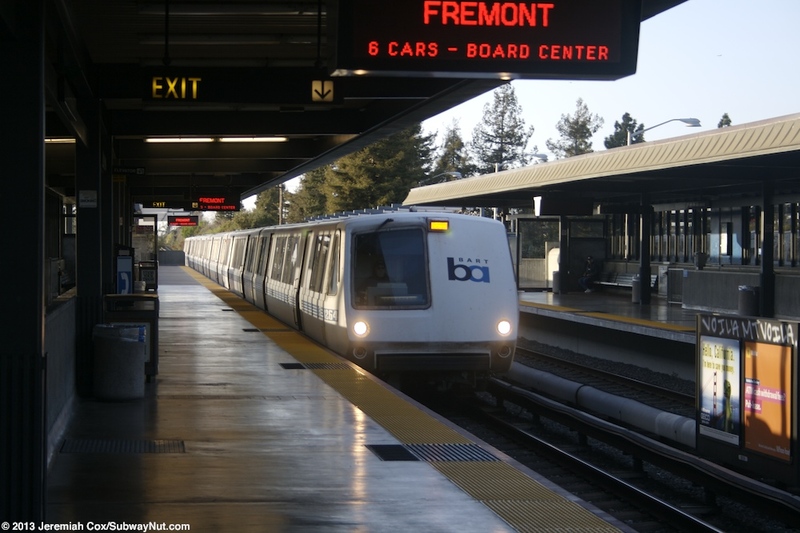 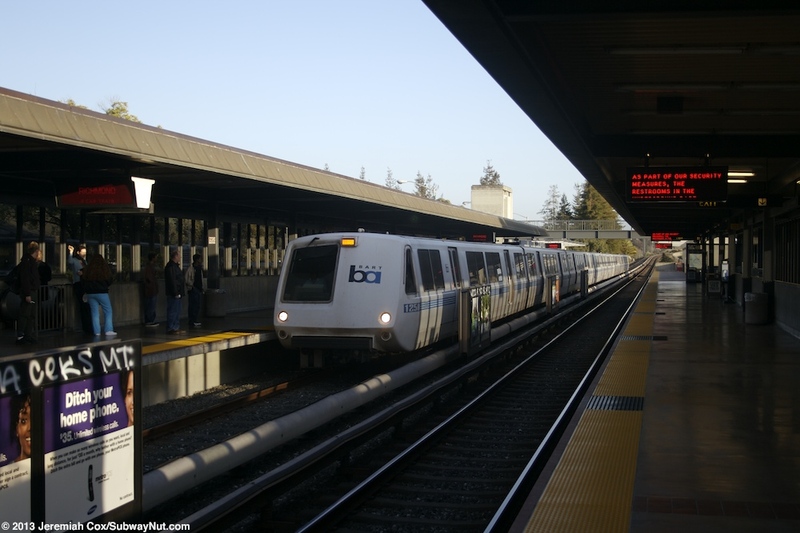 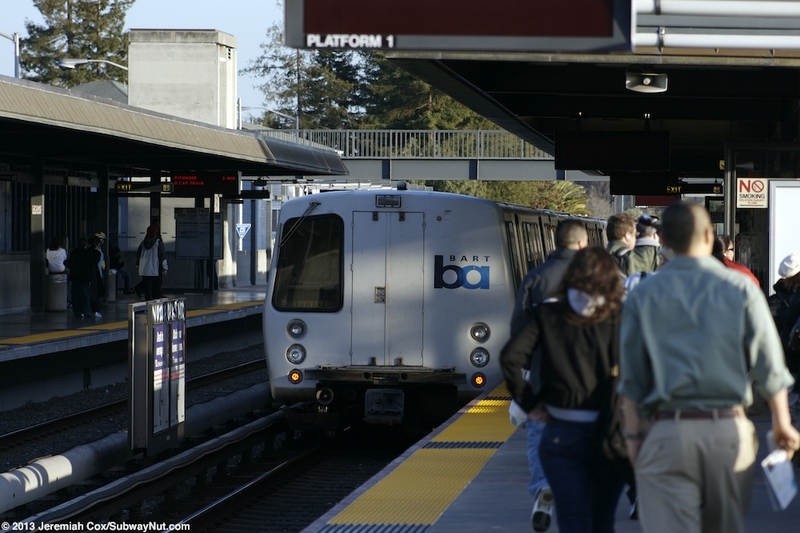 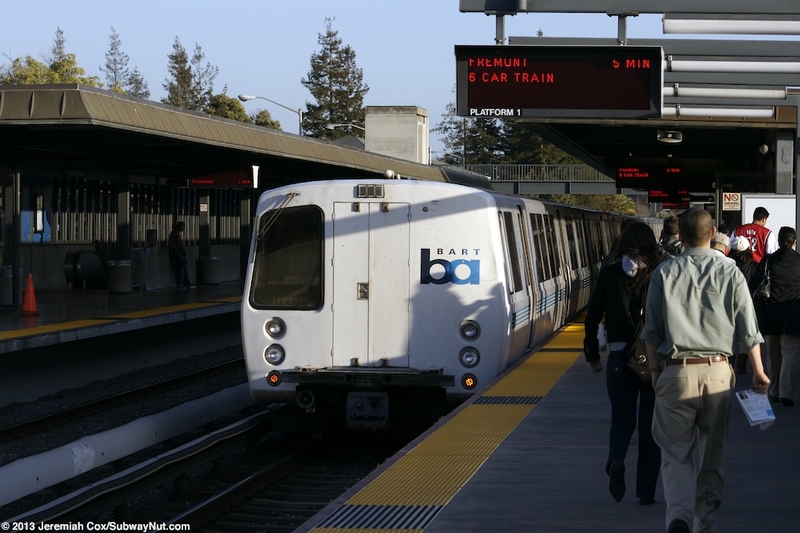 South Hayward is a BART station on a slight embankment with two side platforms for the two track line. 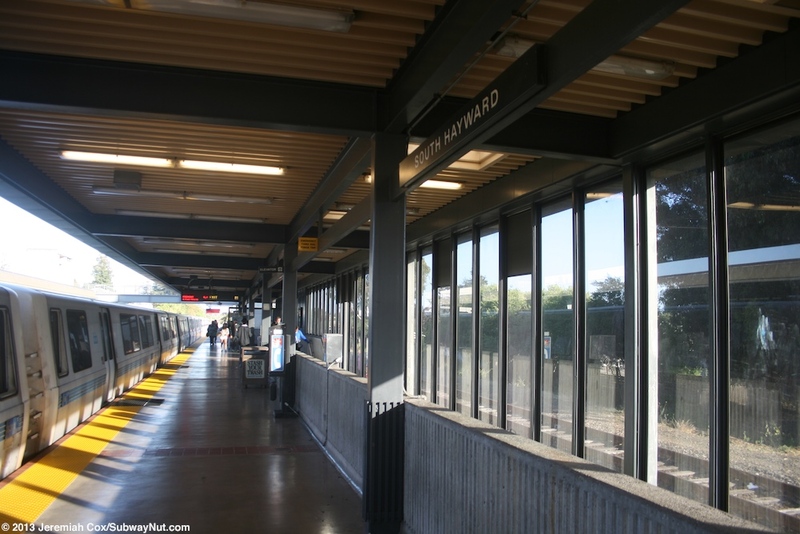 These platforms have canopies in the middle of the platforms held up by black support beams with walls made of Plexiglass windscreens. 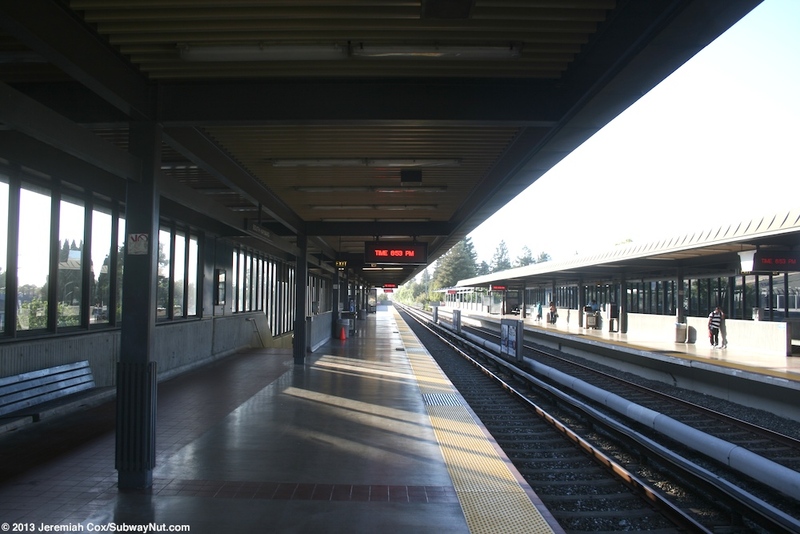 The exposed portions of the platforms have simple, low concrete fencing. 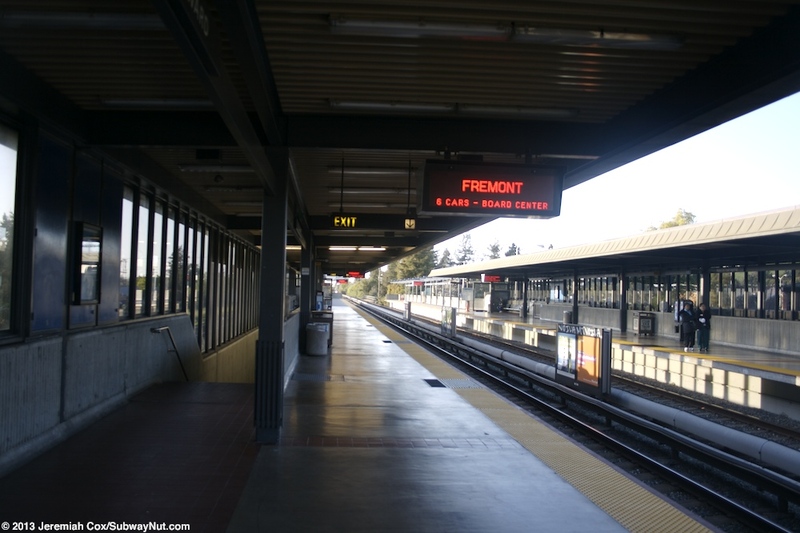 A staircase and escalator (up to the Richmond/S.F.-bound platform, down from the Fremont-bound platform) lead down to a slightly underground tunnel with concrete walls. 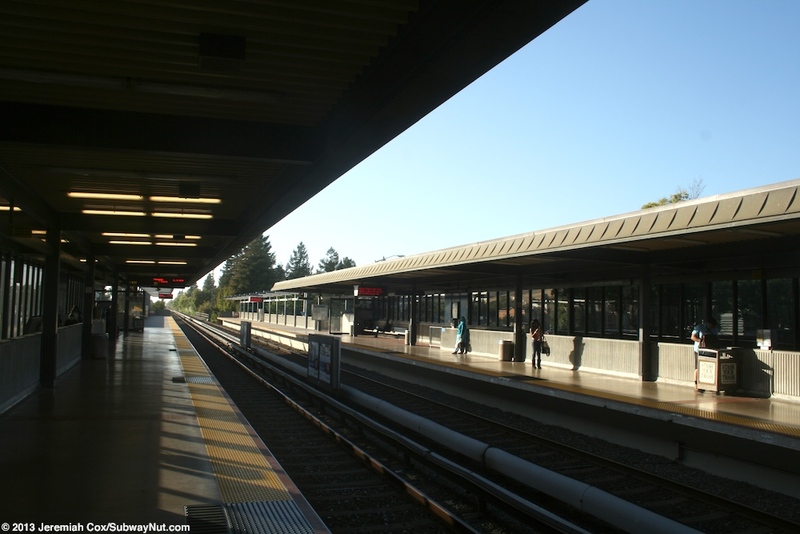 Steps lead up to and an entrance area where the fare gates are with a unique three roofed design. 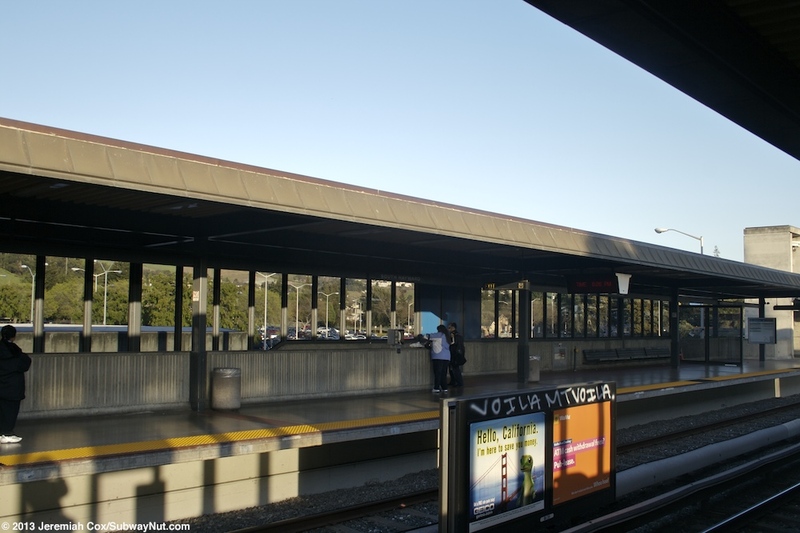 This is the stations only entrance leading out to a large 1,207 space free parking lot on the east side of the tracks with entrances from Dixon Street parallel to the lot. 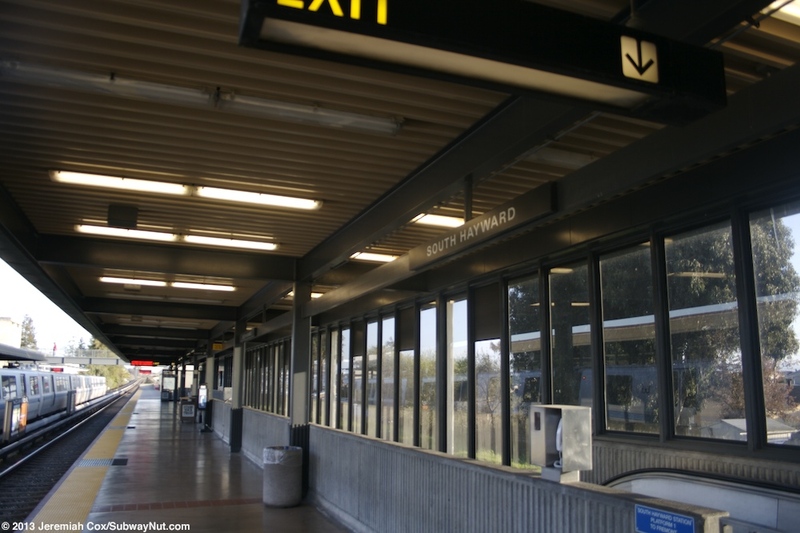 A staircase from the parking lot leads down to Tennyson Road along its northern end. 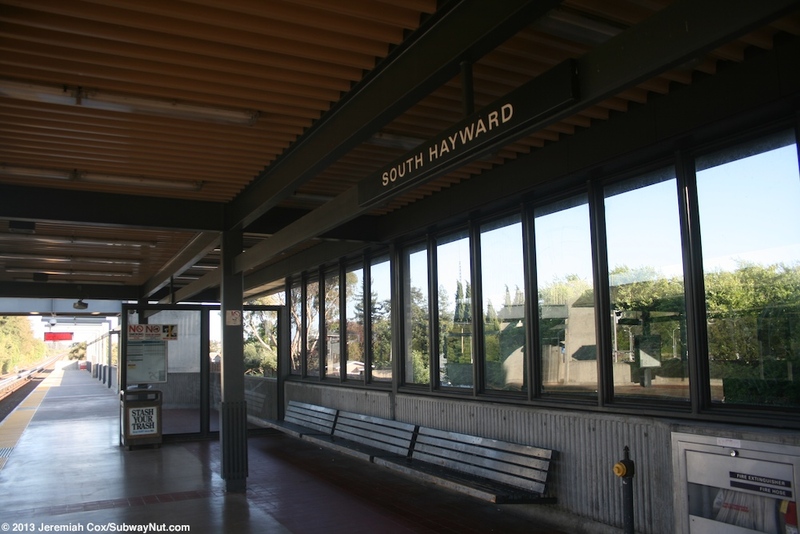 Elevators have their own entrance towards the southern end of the platforms. 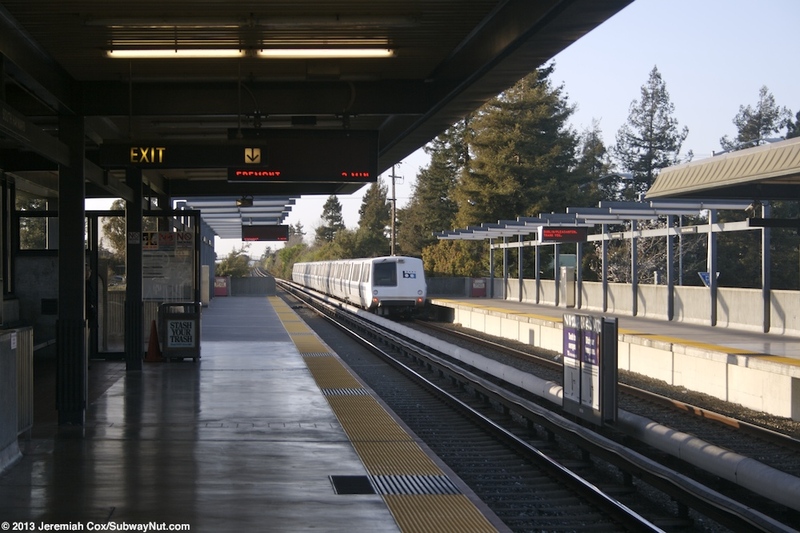 Here a concrete elevator shaft from each platform leads up to a simple with a low-fence overpass. 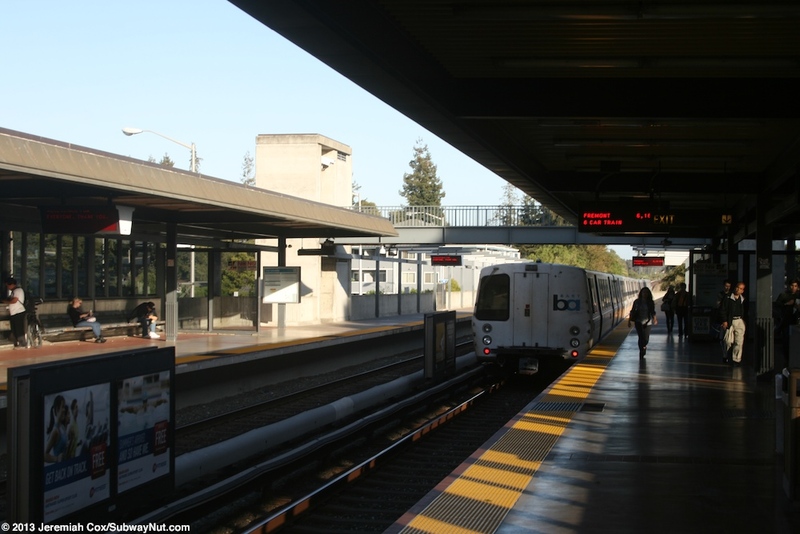 The elevator along the Richmond-bound platform has three landings, the middle one is the platform, the top is the bridge level and the bottom leads out to the station's parking lot. 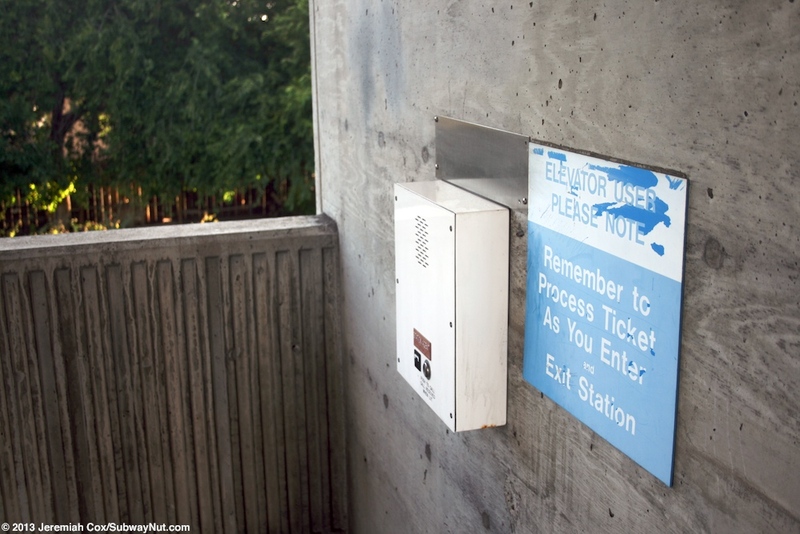 Elevator passengers lack fare gates and must run their fare cards through a special processing reader with two sides, one for entering tickets and one for exiting tickets.